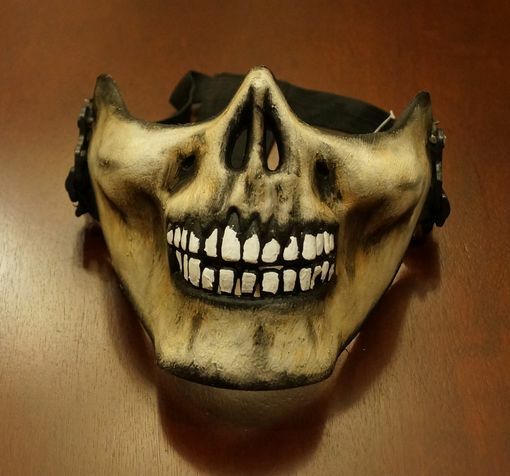 This Zombie half skull mask is hand painted and has realistic look. Mask has a large elastic band to keep mask secure. Mask is made of a non bendable PVC and comes in three colors.